Our radio racks are manufactured using state-of-the-art CAD drawings, which results in precision machined panels. 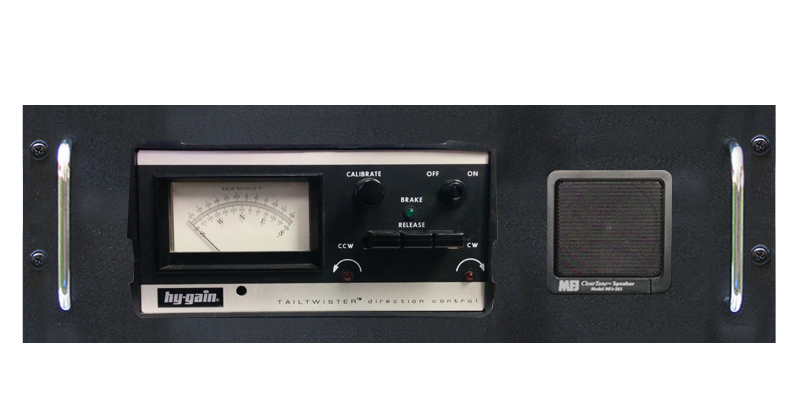 Since we make 2U, 3U and 4U products we can cover 90%+ of all radios made today but if your radio is larger contact us to discuss how we can make it the way YOU need it. Front panels are made from .125" aluminum and painted or powder coated to a hard-baked finish. The standard color is semi-gloss black, which is complimentary to most radios. The one color exception is the Collins rack mount kits, which is Collins Gray. 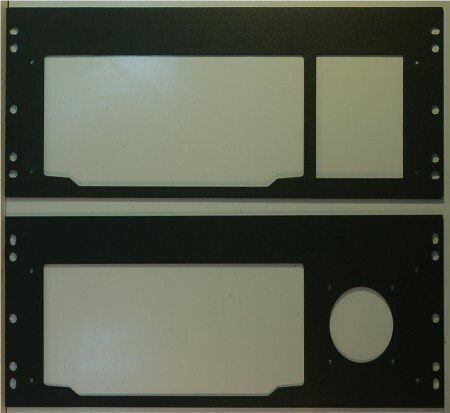 Trays, also known as shelves, for the RM7000 and & RM7100 rack mounts are made of .090" aluminum. The RM75, RM746, RM756 and Collins trays are made of 0625" Paintlok ® steel and will support up to 75 pounds. The speakers we use have a 3" Mylar ® cone that won’t distort in humid weather and/or high heat environments. These speakers will handle 5 Watts continuous or 8-Watts peak power, and come with a 6’ cord terminated with a standard 1/8" (3.5mm) plug that matches 99% of all radios. We have sold hundreds of these speakers and have never had one reported failure.